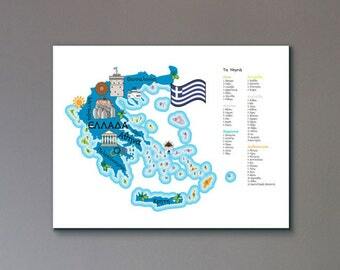 A fun, detailed map of Greece and the islands. 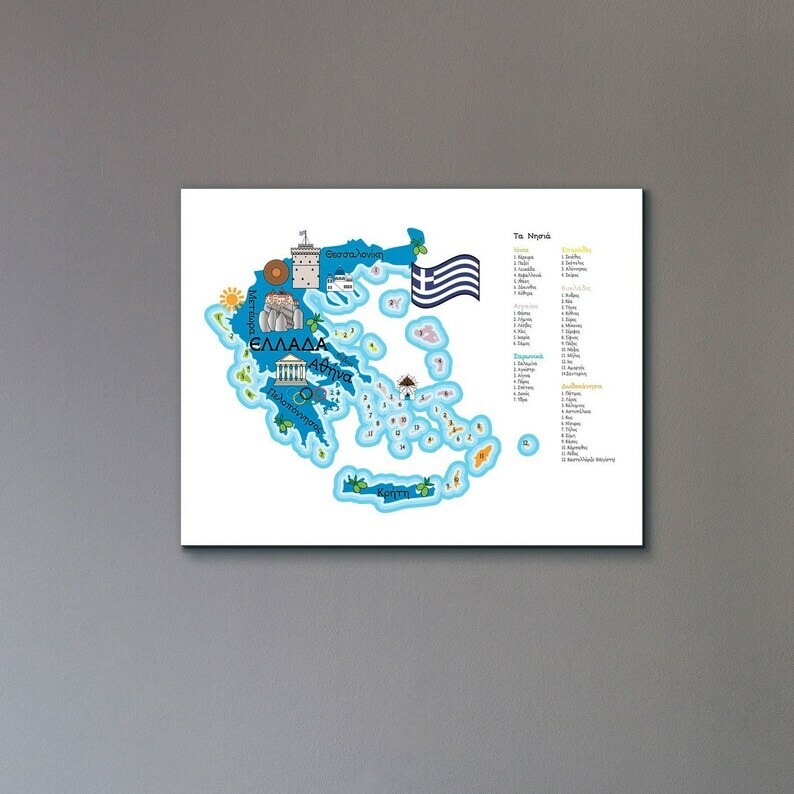 Various illustrations, relevant to the country, add to the educational journey. Great for children and teenagers, grown-ups too!